Describes Col. I. N. Lewis and the success of his gun in WW I. Illustrated. Ordnance and the world war. N. Y., 1920. Describes trials of Lewis gun by U. S. Army (Gen. Crozier was Chief of Ordnance dept.) First tests unsuccessful, but later acceptable and adopted. Defense of government against accusations of Lewis supporters. The inspection and tests of Lewis machine guns. (In Scientific American, Nov 25, 1916, p. 475) Illustrated account of manufacture. Simplified instruction manual with a number of drawings. Operation and tactical use of the Lewis automatic machine rifle. N. Y., 1917. Illustrated manual. Story of first firing of Lewis gun from plane at College Park, Jun 1912. Illustrated with pictures of Lewis and pilot and gunner in plane. Describes first test of Lewis gun in air at College Park, Md., Jun 1912. Illustrated. Anti-aircraft defense against low-flying enemy aircraft. 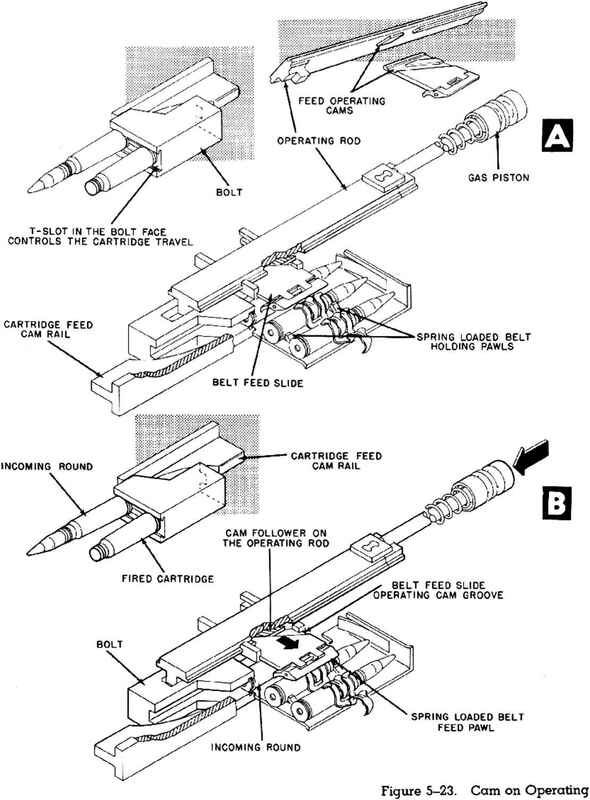 A handbook for light machine gunners. London, 1941. Describes use of Lewis guns in torpedo boats, speed boats and launches. Illustrated. Lewis gun mechanism made easy. Aldershot, 1942. 22 p. Manual Tor rapid training. Diagrams. Hand-book of the Lewis machine gun (airplane type), Model 1917-18, cal. .30. Utica, 1919. 63 p. Illustrated. Hand-book of the Lewis machine gun, model 1917, cal. .30. Utica, N. Y., 1919. 63 p. Illustrated. Lewis automatic machine guns: the vital factor in the European war. N. Y., 1917. Excerpts from official reports, items of personal experience and news clippings on the part played by these guns in war. Illustrated. Illustrated. Report of first trial at College Park, Jun 1912.